Tin Spirits first got together in Swindon UK in the summer of 2008, when Daniel Steinhardt from The Gig Rig invited former XTC guitarist (and musical hero) Dave Gregory to a local studio to video record an 'amp shoot-out' with Dan's band The Hi-Fidels, comprising bassist Mark Kilminster and drummer Doug Mussard. All enjoyed the experience so much they decided to take things a stage further and rehearse some of the more challenging music they’d grown up listening to but never had the chance to perform. 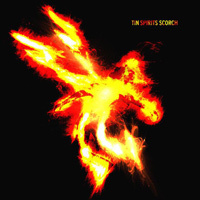 Tin Spirits soon assembled a strong repertoire of guitar-orientated prog covers, together with a few XTC songs, and began playing gigs in 2009 to very positive audiences. Dave Gregory (guitar) was a member of UK band XTC for 19 years, performing on the hits 'Making Plans For Nigel', 'Senses Working Overtime' and 12 studio albums, including the band's alter-egos The Dukes Of Stratosphear. 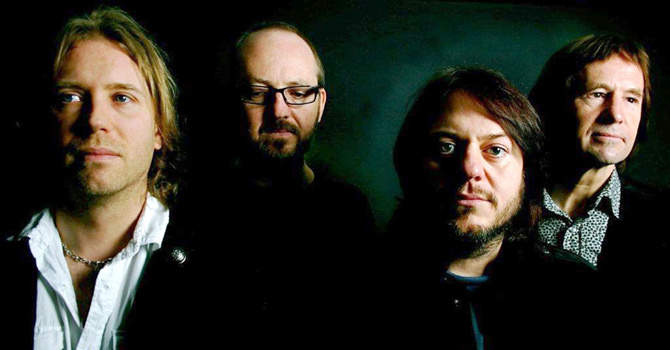 With few interests outside music, Dave continues to work as the spirit moves him, recently playing sessions for Bournemouth prog-heads Big Big Train, and writing and recording at home for Tin Spirits, the band, he says, which has saved his musical life. Although Daniel Steinhardt (guitar, vocals) is most commonly associated with The Gig Rig, his career in Australia has seen him play with some of the biggest artists in the country and tour the world extensively. Dan was Max Sharam's guitarist for many years (Max's song 'Coma' was recently voted in the top 10 best Triple J singles of all time). His work with his company The Gig Rig is based around designing systems to allow guitarists to reach their 'tone potential', so you can be sure the band is well equipped. Mark Kilminster (bass, vocals) has performed around the globe, and recorded with some of the biggest names in the business. He beat out 20,000 applicants to become lead vocalist for Stamford Amp, the house-band on the BBC 1 Saturday morning television show 'The Saturday Show' in 2001. The band scored a Top 40 single and an appearance at the Proms In The Park in London's Hyde Park. Doug Mussard (drums, vocals) played 'Ringo' in the original Ludwig Beatles, and gigged with Mike d'Abo's Mighty Quintet in the late 1990s. Considered by many to be Swindon's best kept musical secret (and now Dave Gregory's favourite drummer! ), Doug plays regular gigs and sessions, and continues to perform with Dan and Mark in the Hi-Fidels. 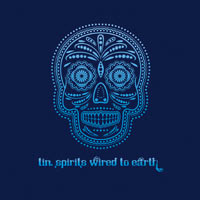 With the release of their debut offering 'Wired To Earth', their star is very much in the ascendant.